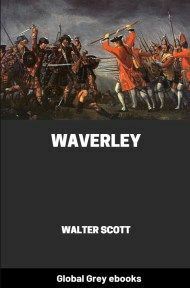 The Heart of Midlothian is the seventh of Sir Walter Scott's Waverley Novels. 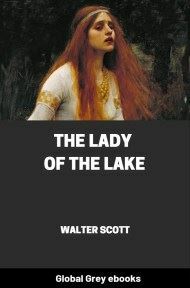 The title of the book refers to the Old Tolbooth prison in Edinburgh, Scotland, at the time in the heart of the Scottish county of Midlothian. The historical backdrop was the event known as the Porteous Riots. In 1736, a riot broke out in Edinburgh over the execution of two smugglers. The Captain of the City Guards, Captain John Porteous, ordered the soldiers to fire into the crowd, killing several people. 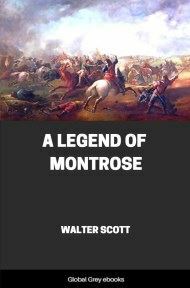 Porteous was later killed by a lynch mob who stormed the Old Tolbooth. Scott's telling emphasises the gruesome details of the killing: he is lynched from a dyer's pole, using a rope taken from a local draper's shop. After a short while he is dragged down and stripped of his nightgown and shirt, which is then wrapped around his head before he was hauled up again. However, the mob had not tied his hands and, as he struggled free, they break his arm and shoulder, while another attempts to set light to his naked foot. He is taken down a further time and cruelly beaten before being hung up again, and dies a short while later, just before midnight on 7 September 1736. In former times, England had her Tyburn, to which the devoted victims of justice were conducted in solemn procession up what is now called Oxford Street. 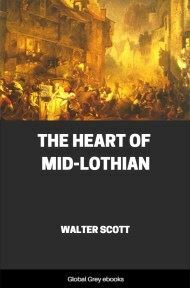 In Edinburgh, a large open street, or rather oblong square, surrounded by high houses, called the Grassmarket, was used for the same melancholy purpose. It was not ill chosen for such a scene, being of considerable extent, and therefore fit to accommodate a great number of spectators, such as are usually assembled by this melancholy spectacle. On the other hand, few of the houses which surround it were, even in early times, inhabited by persons of fashion; so that those likely to be offended or over deeply affected by such unpleasant exhibitions were not in the way of having their quiet disturbed by them. The houses in the Grassmarket are, generally speaking, of a mean description; yet the place is not without some features of grandeur, being overhung by the southern side of the huge rock on which the Castle stands, and by the moss-grown battlements and turreted walls of that ancient fortress. It was the custom, until within these thirty years or thereabouts, to use this esplanade for the scene of public executions. The fatal day was announced to the public by the appearance of a huge black gallows-tree towards the eastern end of the Grassmarket. This ill-omened apparition was of great height, with a scaffold surrounding it, and a double ladder placed against it, for the ascent of the unhappy criminal and executioner. As this apparatus was always arranged before dawn, it seemed as if the gallows had grown out of the earth in the course of one night, like the production of some foul demon; and I well remember the fright with which the schoolboys, when I was one of their number, used to regard these ominous signs of deadly preparation. On the night after the execution the gallows again disappeared, and was conveyed in silence and darkness to the place where it was usually deposited, which was one of the vaults under the Parliament House, or courts of justice. This mode of execution is now exchanged for one similar to that in front of Newgate,—with what beneficial effect is uncertain. The mental sufferings of the convict are indeed shortened. He no longer stalks between the attendant clergymen, dressed in his grave-clothes, through a considerable part of the city, looking like a moving and walking corpse, while yet an inhabitant of this world; but, as the ultimate purpose of punishment has in view the prevention of crimes, it may at least be doubted, whether, in abridging the melancholy ceremony, we have not in part diminished that appalling effect upon the spectators which is the useful end of all such inflictions, and in consideration of which alone, unless in very particular cases, capital sentences can be altogether justified. On the 7th day of September 1736, these ominous preparations for execution were descried in the place we have described, and at an early hour the space around began to be occupied by several groups, who gazed on the scaffold and gibbet with a stern and vindictive show of satisfaction very seldom testified by the populace, whose good nature, in most cases, forgets the crime of the condemned person, and dwells only on his misery. But the act of which the expected culprit had been convicted was of a description calculated nearly and closely to awaken and irritate the resentful feelings of the multitude. 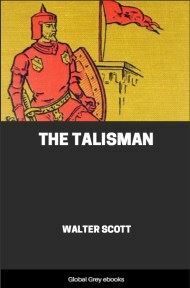 The tale is well known; yet it is necessary to recapitulate its leading circumstances, for the better understanding what is to follow; and the narrative may prove long, but I trust not uninteresting even to those who have heard its general issue. At any rate, some detail is necessary, in order to render intelligible the subsequent events of our narrative. 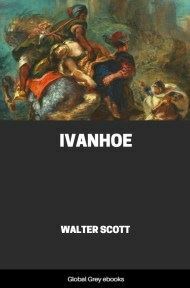 Contraband trade, though it strikes at the root of legitimate government, by encroaching on its revenues,—though it injures the fair trader, and debauches the mind of those engaged in it,—is not usually looked upon, either by the vulgar or by their betters, in a very heinous point of view. On the contrary, in those countries where it prevails, the cleverest, boldest, and most intelligent of the peasantry, are uniformly engaged in illicit transactions, and very often with the sanction of the farmers and inferior gentry. Smuggling was almost universal in Scotland in the reigns of George I. and II. ; for the people, unaccustomed to imposts, and regarding them as an unjust aggression upon their ancient liberties, made no scruple to elude them whenever it was possible to do so. The county of Fife, bounded by two firths on the south and north, and by the sea on the east, and having a number of small seaports, was long famed for maintaining successfully a contraband trade; and, as there were many seafaring men residing there, who had been pirates and buccaneers in their youth, there were not wanting a sufficient number of daring men to carry it on. Among these, a fellow called Andrew Wilson, originally a baker in the village of Pathhead, was particularly obnoxious to the revenue officers. He was possessed of great personal strength, courage, and cunning,—was perfectly acquainted with the coast, and capable of conducting the most desperate enterprises. 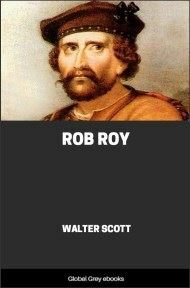 On several occasions he succeeded in baffling the pursuit and researches of the king's officers; but he became so much the object of their suspicions and watchful attention, that at length he was totally ruined by repeated seizures. The man became desperate. He considered himself as robbed and plundered; and took it into his head that he had a right to make reprisals, as he could find opportunity. Where the heart is prepared for evil, opportunity is seldom long wanting. This Wilson learned that the Collector of the Customs at Kirkcaldy had come to Pittenweem, in the course of his official round of duty, with a considerable sum of public money in his custody.